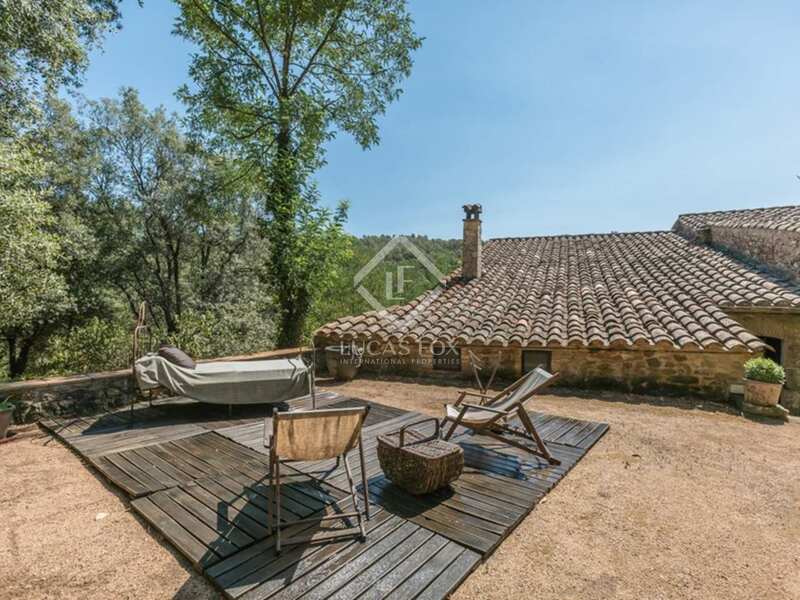 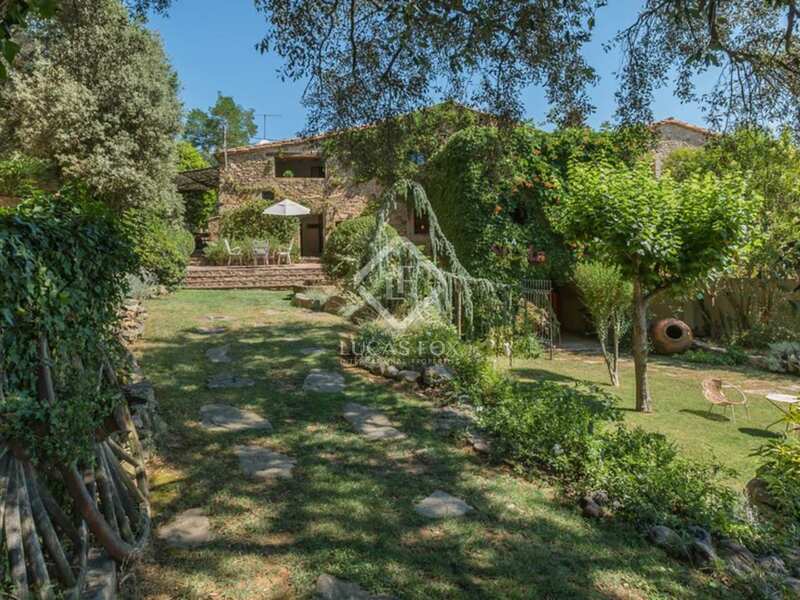 This beautiful stone property is situated on the edge of an attractive medieval village just a 10-minute drive east of Girona city and only 25 minutes from the nearest beaches of the Costa Brava. 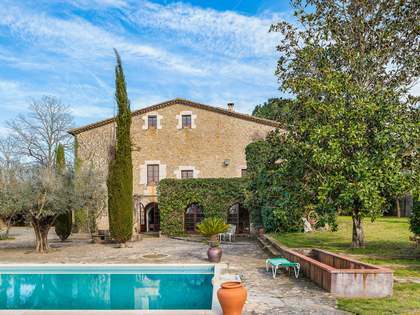 Originally dating back to the early 18th Century, the property was once two houses but has since been combined to make one substantial family home. 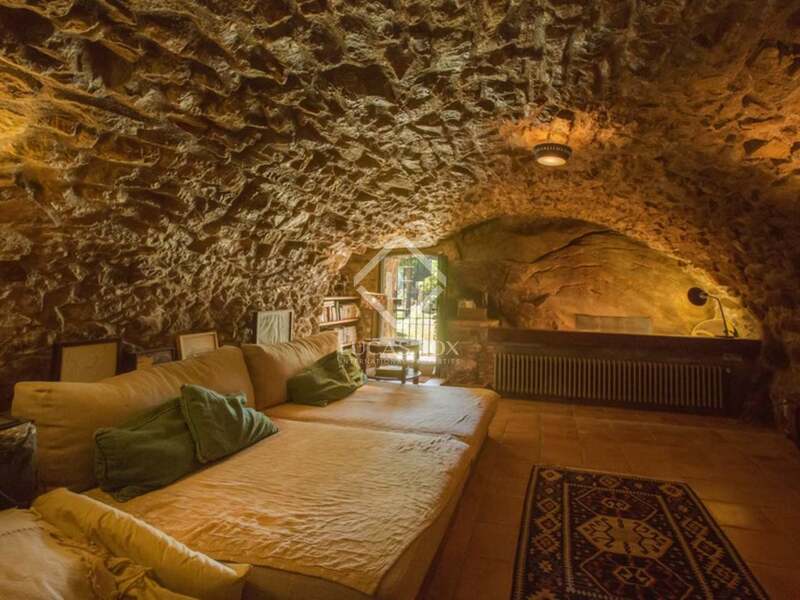 The house is attached to a further stone property which is currently being operated as a high-end boutique guesthouse. 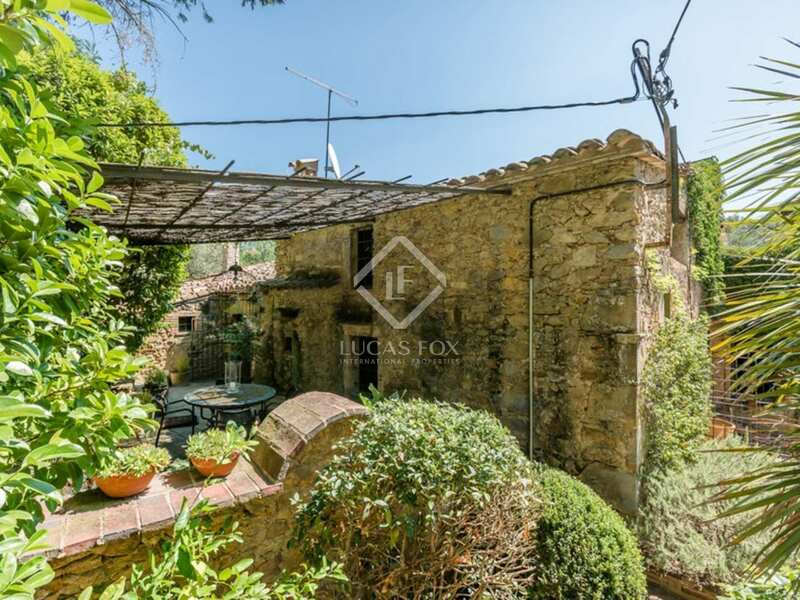 The property is presented in excellent condition throughout, and much of it has been tastefully renovated by the current owners over recent years. 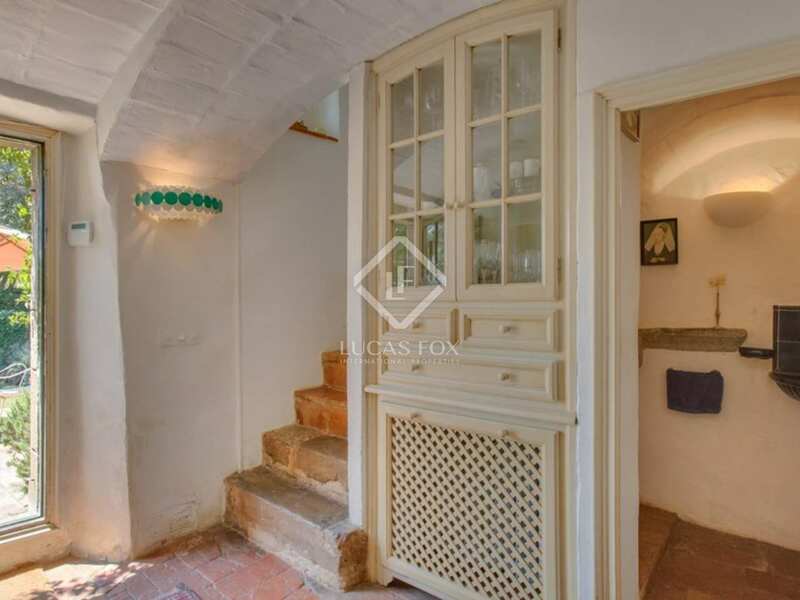 There is still ample scope for a future buyer to add value and to convert some of the existing reception rooms into additional accommodation, transforming the property into a substantial private house. 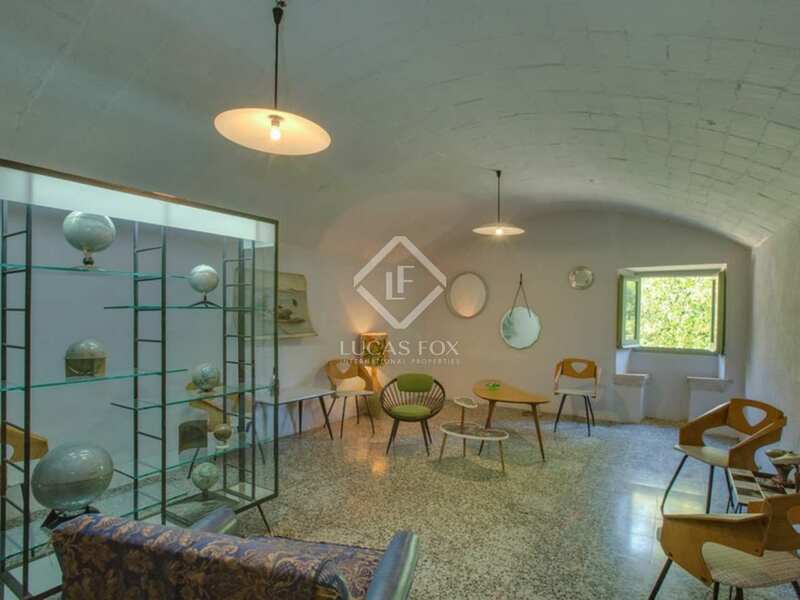 One side of the property is currently used by the owners as their private residence whilst the other is used for commercial purposes (an art gallery and exhibition space) and is being sold with the corresponding commercial licence. 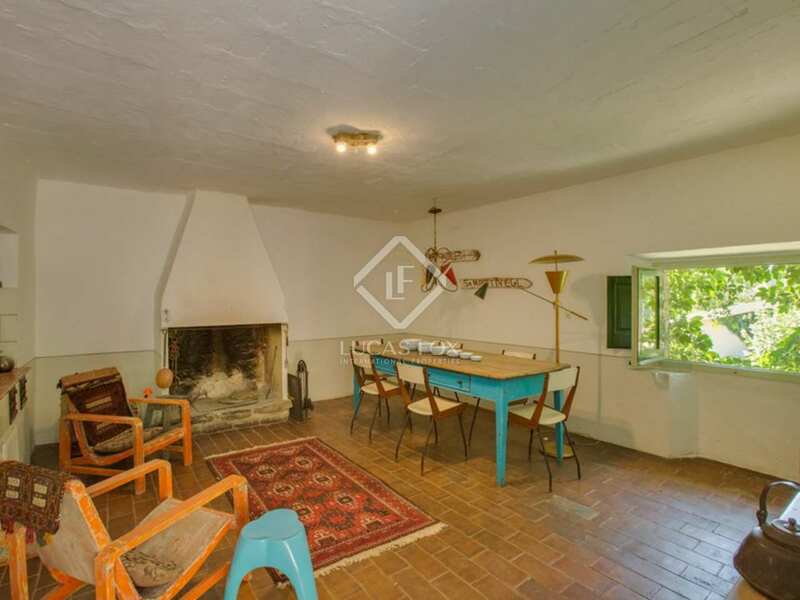 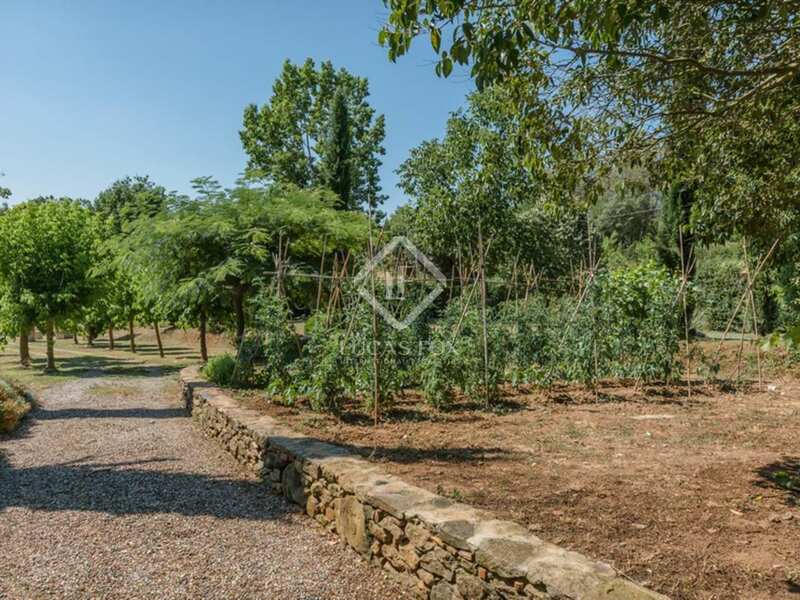 The house offers approximately 700m2 of constructed and is situated on a large plot of 5700m2 with lawned garden, vegetable growing area and woodland. 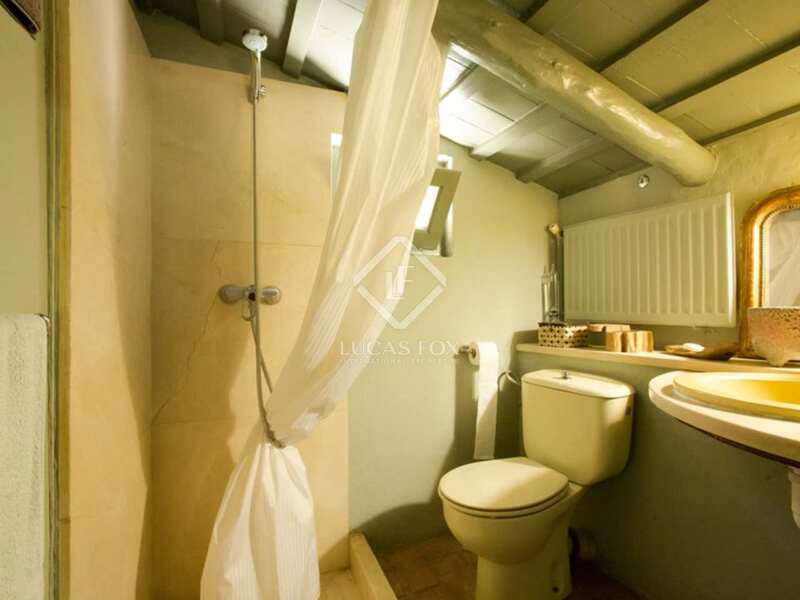 There is an independent outhouse which includes a closed garage and a Bauhaus-style bar and outdoor dining area. 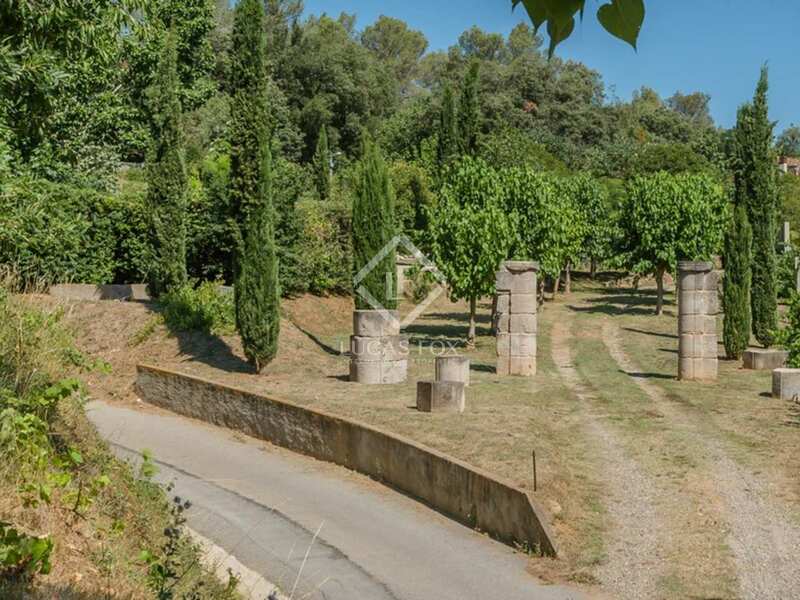 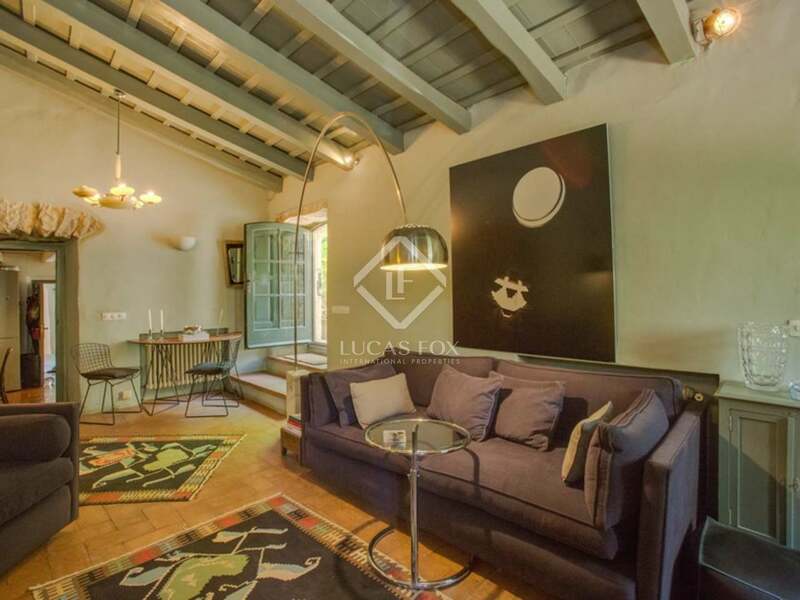 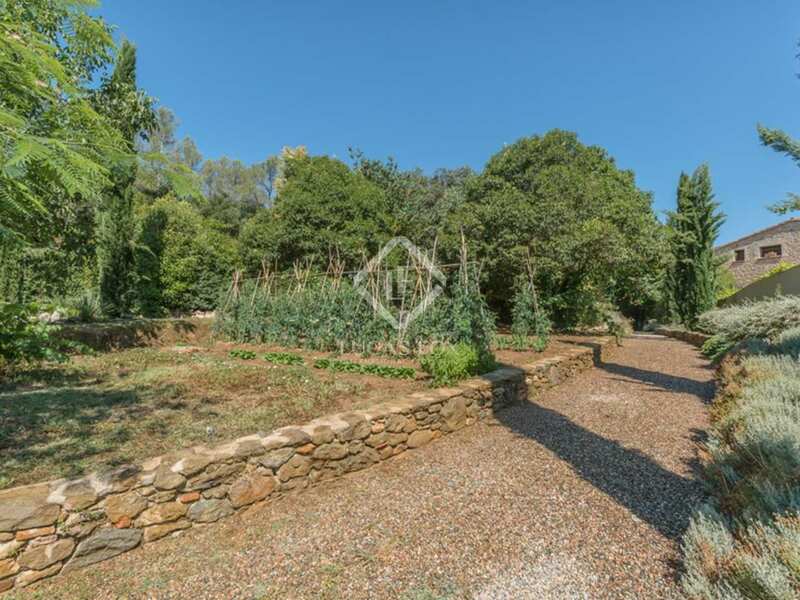 The property is on mains electricity and there is a private well for garden irrigation. 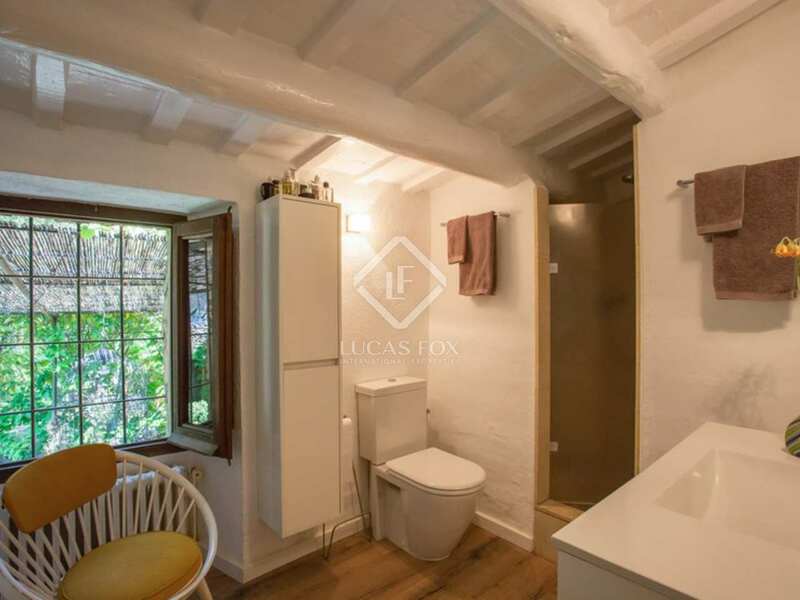 The part of the house where the owners live is equipped with central heating. 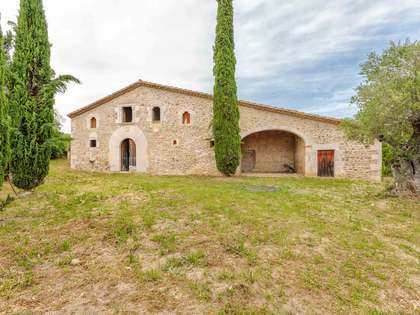 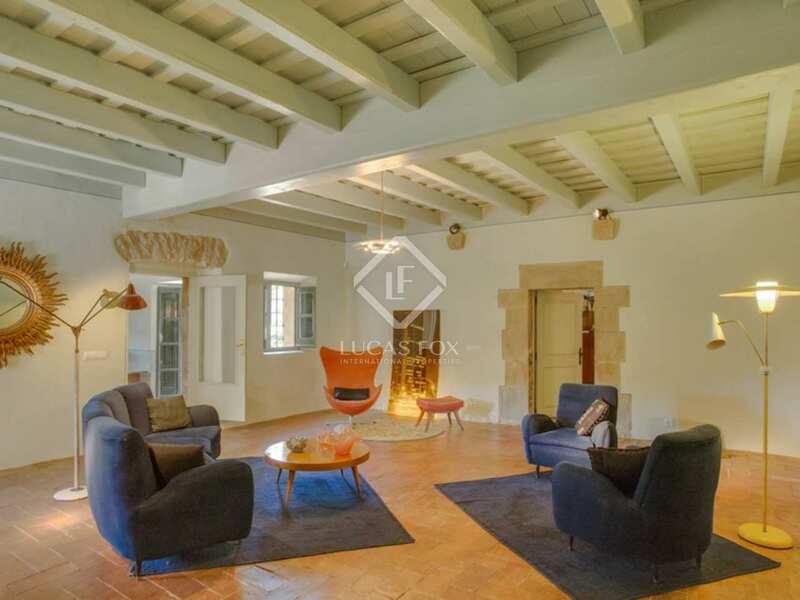 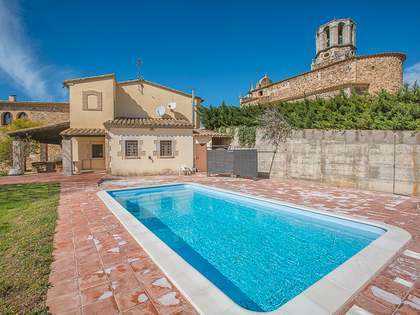 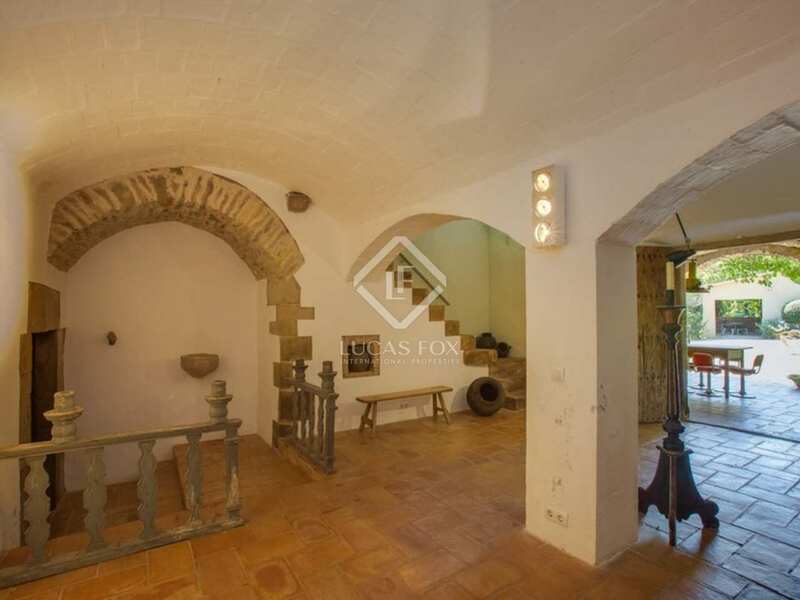 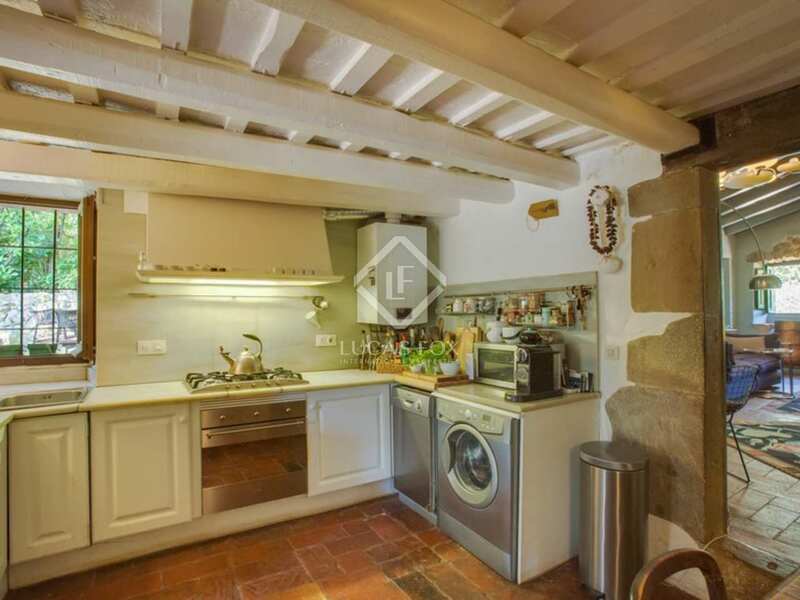 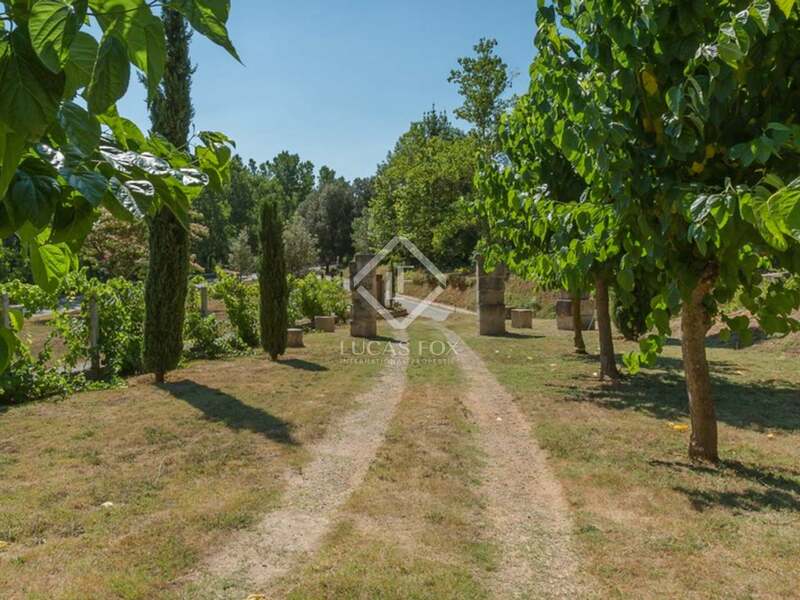 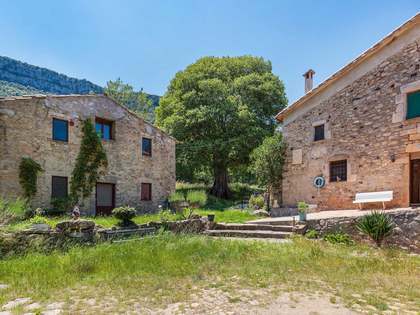 Located in a prime area within a few minutes drive of some of the Province's most beautiful villages - including Sant Marti Vell, Madremany and Monells - this charming stone property would make a wonderful primary or secondary residence and must be seen. 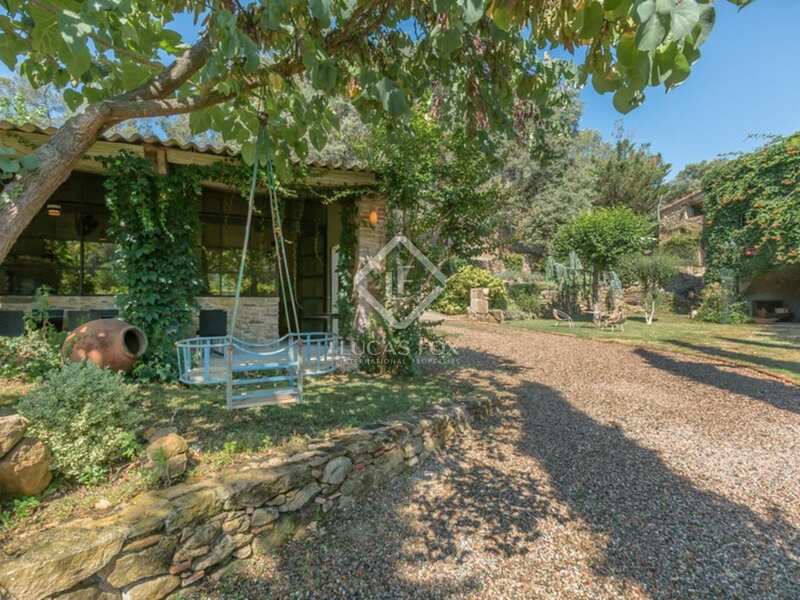 View more inland Costa Brava property for sale. 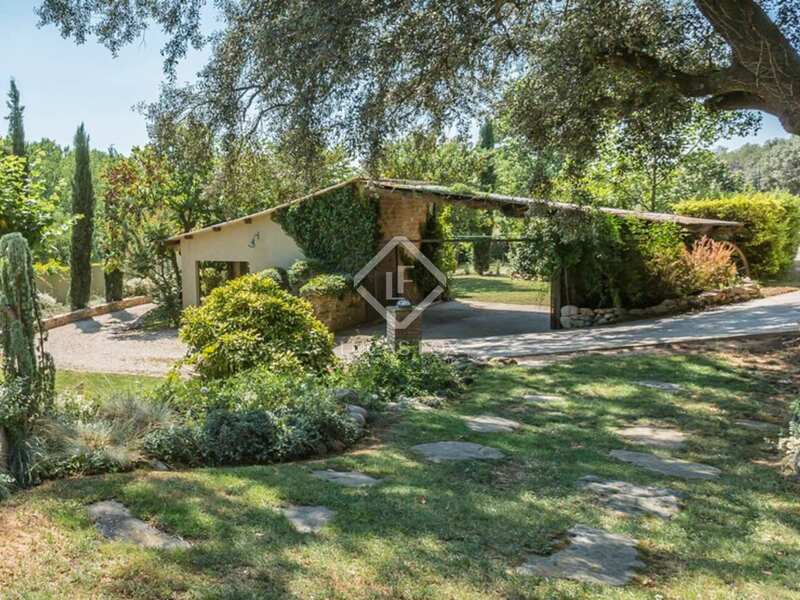 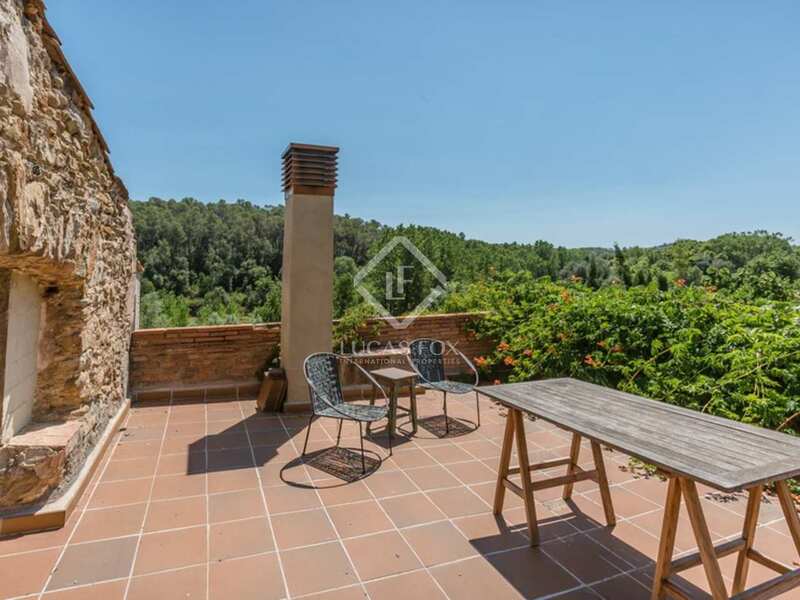 This wonderful inland Costa Brava property for sale is situated in a prime location in one of the most beautiful areas of the Girona countryside, just 16km from Girona city and only 25 minutes from some of the best beaches of the Costa Brava. 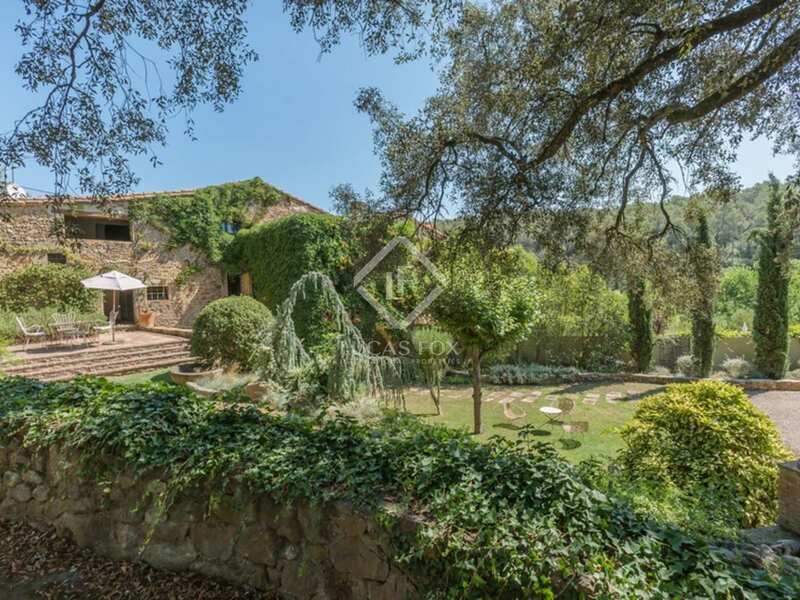 The property is within an easy drive of some excellent golf courses - including PGA de Catalunya and Golf Emporda, and just 15-mintues from the no.1 restaurant in the world; El Cellar de Can Roca. 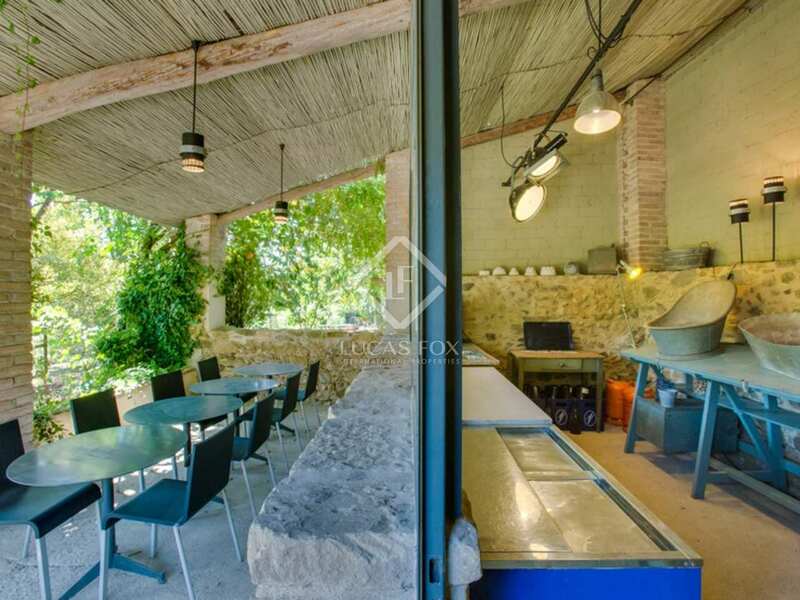 There are also excellent local restaurants within walking distance of the house. 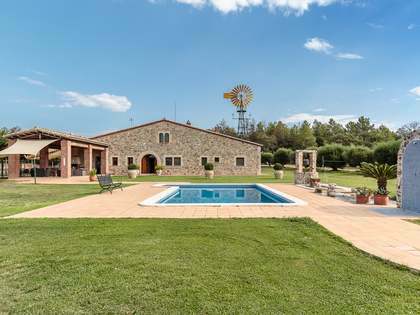 The house is only 28km from the nearest international airport and 114km from Barcelona city. 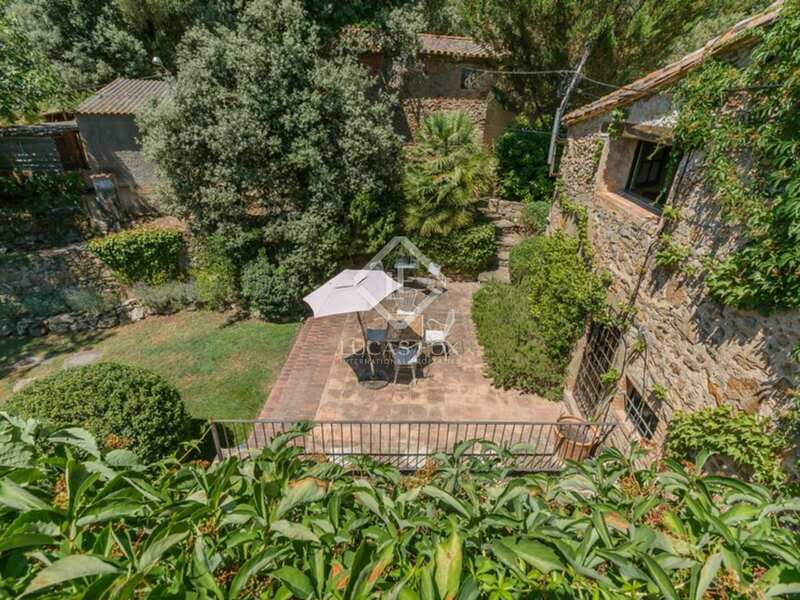 View more inland Girona property to buy. 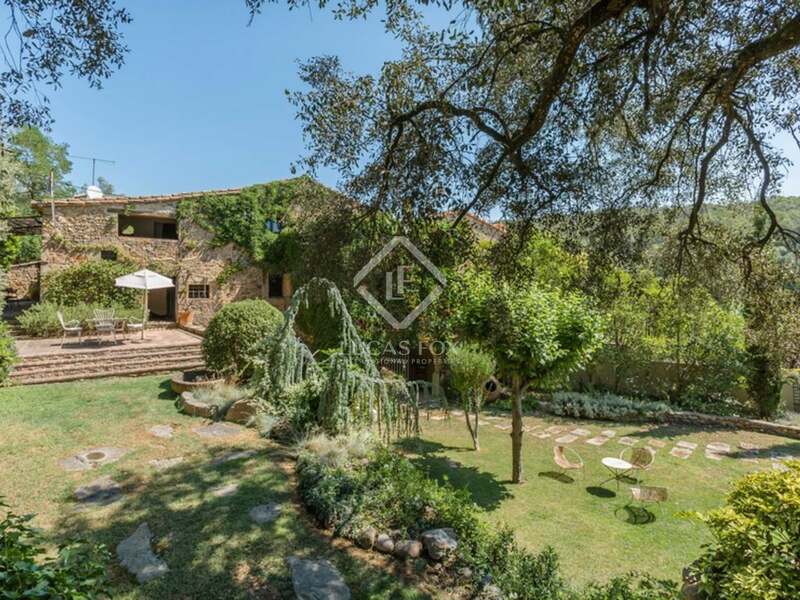 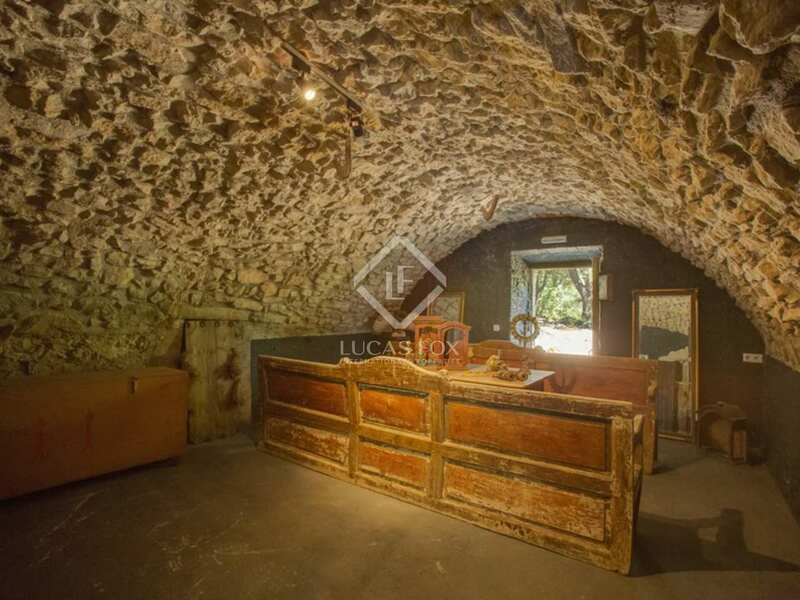 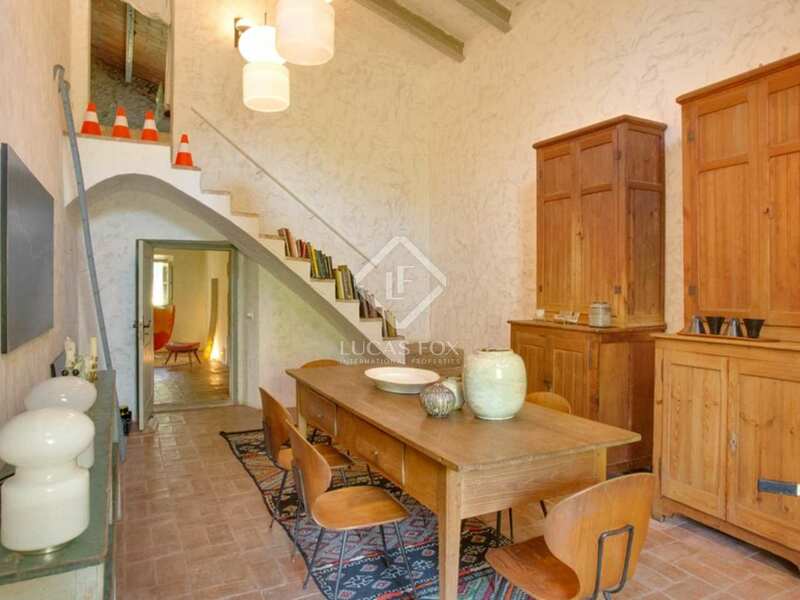 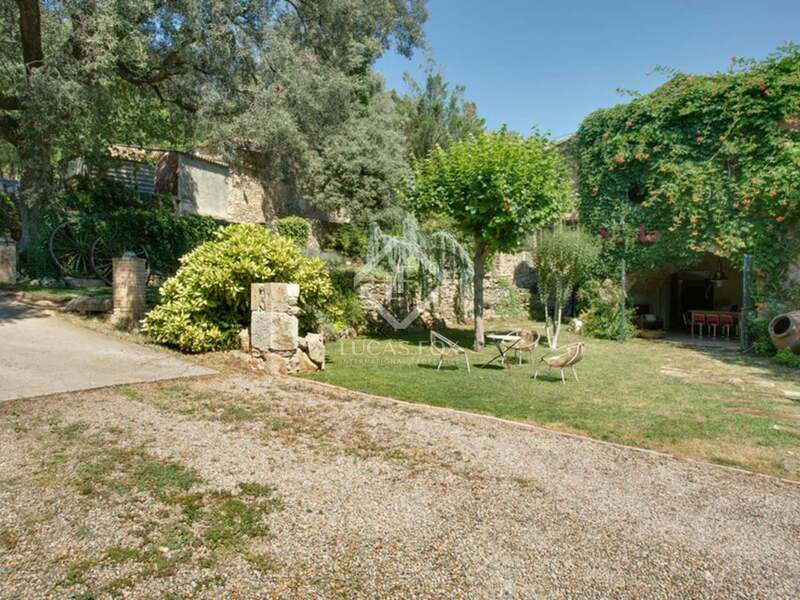 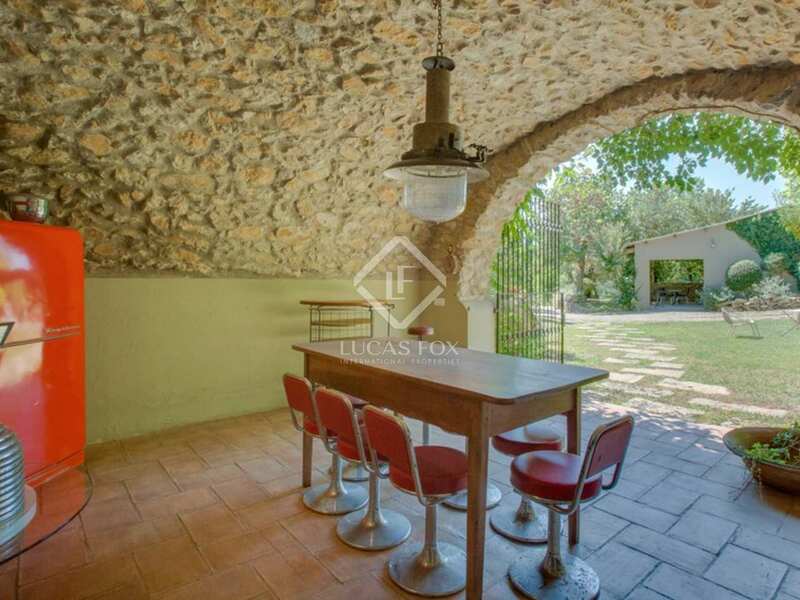 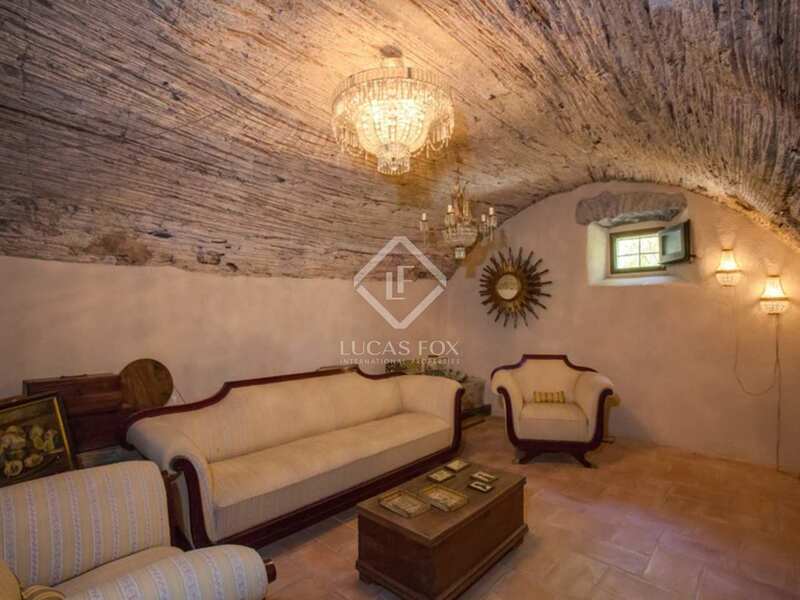 Masia to buy in Caldes de Malavella; Girona masia for sale.